I spent 16 years working with the collection of paintings by William Keith (1838-1911) at Saint Mary’s College, Moraga, California. I created a William Keith Room to display works from the collection in what was then called the Hearst Art Gallery. With a grant from the National Endowment for the Arts and sponsorships from several individuals, we were able to publish a catalog of the collection in 1988. I was way too busy running the museum to do the necessary research and writing. 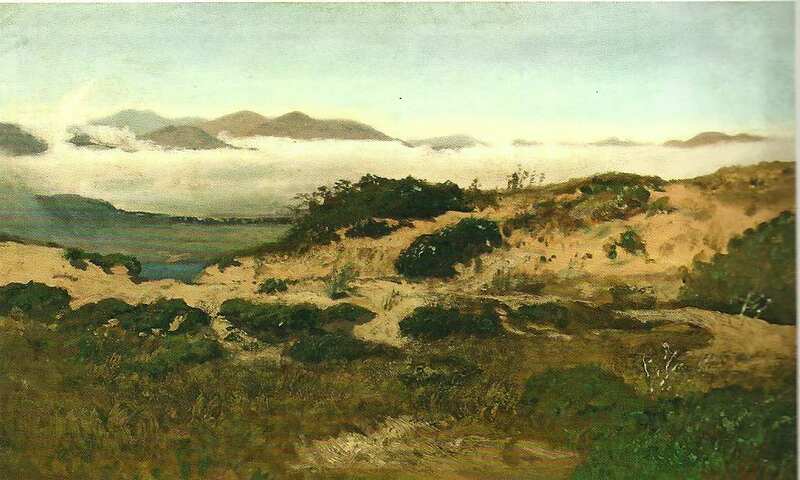 One expert on historic California art, John Garzoli, recommended another, Alfred C. Harrison, Jr. When I first met Alfred he was a private collector and researcher. He agreed to write a monograph about William Keith for our publication, concurrent with taking over the North Point Gallery in San Francisco. Joseph Armstrong Baird, who had served as art curator for the California Historical Society in the 1960s and early 70s while also teaching art history at U.C. Davis, had founded the North Point Gallery in 1972. It still exists today, in its third location, with Alfred Harrison as president, and still focuses on historic California art. The Keith Collection at Saint Mary’s was started by Brother Fidelis Cornelius, who taught at the college and published a 600-page biography of the artist, Keith, Old Master of California, in 1942, followed by a supplementary volume in 1957. The size of the collection, now more than 160 paintings, has made it possible for the Saint Mary’s College Museum of Art to repeatedly develop traveling exhibitions. For one of these, I wrote an article that draws heavily from Keith’s own words. With permission from American Art Review, I am attaching that illustrated article here. If it whets your appetite for more, you may want to acquire the 2011 book, The Comprehensive Keith, in which every painting in the collection is illustrated in color, Alfred’s essay is updated, and two conservators have written essays about the paintings and their frames.